Last Thursday evening, more than 100 people braved the frigid and snowy New Jersey weather to attend our District Family STEM Night. A combination of parents, students, and teachers gathered to participate in activities designed to promote serious (and playful) study in the realm of science, technology, engineering, and mathematics. The evening was a resounding success, with families filling the library and surrounding science and technology labs to build, create, discover, and learn. Students created roller coaster models, and wind-powered cars, participated in virtual frog dissections, and played a banana piano using Makey Makey kits. The most important development of the evening, however, was how engaged students AND parents were. Parents were just as involved as students, actively problem solving and thinking critically while they supported their children. Parent and family engagement has become a hot topic in education. In August 2014, I attended Edcamp Leadership in Philadelphia. While there, I joined a session called Family Engagement, hosted by Joe Mazza and Benjamin Gilpin. The session really helped to inspire me to realize the importance of the connections that we make with families. Entering the current school year, I decided to add several evening events to our school calendar to engage parents. I wanted parents to be able to share in the daily activities that their children are a part of. In addition to our STEM Night last week, which is the second of three that our district will hold this year, evening programs have focused on new curriculum initiatives, and presentations by our gifted and talented students. At each of these events, our goal for parents is the same as our daily goals for students– active learning. We seek active participation and engagement on the part of parents. While hosting a 1st-2nd grade evening event to show a new language arts program, we asked parents to rotate between learning centers to engage in the daily activities that students complete. Our first STEM Night featured a hugely popular tower-building contest. Families were given a stack of newspaper and a roll of tape and asked to build the tallest tower. The competitive nature of the contest really sparked innovation and critical thinking skills. During an event to showcase a new writing program, parents were asked to generate ideas, share with a partner, and write, just as students would. How can we engage parents who are not able to attend evening events? 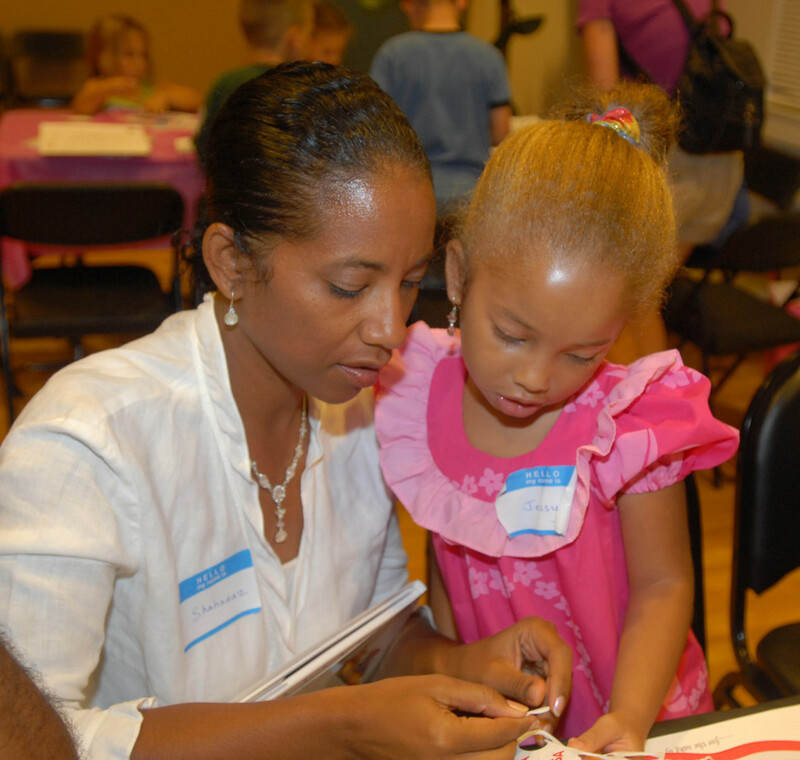 Many parents cannot attend events due to busy schedules or other limitations. During the Family Engagement discussion at Edcamp Leadership, some other educators talked about live streaming events for parents who were not able to attend. While this can help them to receive information live while the event is happening, or at a later, more convenient time, it still limits the active engagement by parents. Can we turn the excitement of Edcamp into an event that will engage Parents? Edcamp has revolutionized professional development for educators. Our own district Edcamp turned out to be a great day of learning, sharing, and reflection. A few districts have experienced a great deal of success with Parent Camp, an unconference devoted to sharing the expertise of both parents and teachers. Would parents turn out to such an event to learn and lend their expertise to discussions? How can we reach parents where they are? Reaching parents today has led educators into many forms of communication. Schools used to send home paper notes and quarterly newsletters to tell parents what was happening in schools. Now, schools are sharing via Facebook, Instagram, and Twitter, and using apps like Remind and Class Dojo to communicate information via text or direct message. Parents are increasingly tech savvy, and we must share information across a number of platforms in which parents are comfortable. Do traditional forms of communication still work for parents? This answer may depend on the parents that we are talking about, but can methods such as phone calls home, coffee with the Principal, and weekly classroom newsletters still effectively communicate information? Many teachers still use written communication logs and planners to inform parents of daily events and information. Are parents getting the necessary information from these methods? What are parents looking for that schools are not doing? Not until the success of our STEM Nights did I realize that this was something missing from our district. Are there other areas in which parents want to be engaged? Can we think outside the box to determine what is missing for our parents? While my district has been able to successfully engage families through some of our events, there is still more that we can do. The success of STEM Night last week demonstrated that parents are engaged in their children’s learning, and want to be an active part of that process. Now it is up to us as educators to provide additional opportunities and access to parents to actively engage them. Let’s discuss ways to positively impact learning by better connecting with families. I encourage you to share ideas or strategies that have worked for you in the comments section below. Hi Rich! Thanks for sharing this post, next week at #G2Great we will be chatting about this topic, thank you for the suggestion. Hope you will join us- there is so much you can learn from us!